Tomatoes, peppers, and carrots are brought together to create a thick “stick to your pasta” sauce that is heightened with oregano, basil, garlic, and capers. 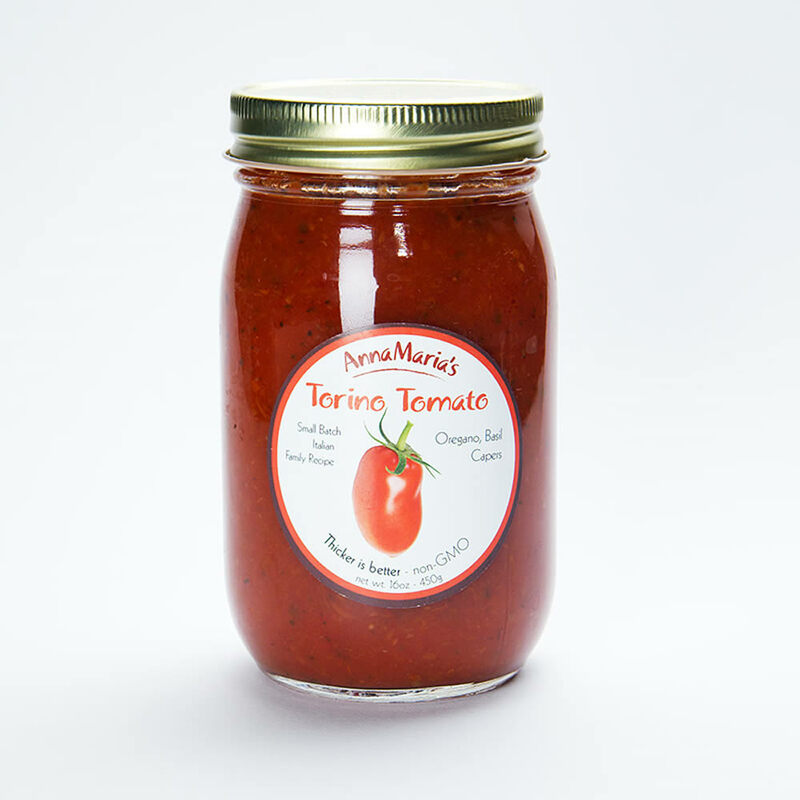 Beyond pasta this sauce works with meats and fish and has the right consistency for your homemade pizza. Plum Tomatoes, Tomato Puree (Tomatoes, Salt, Naturally Derived Citric Acid), Onions, Carrots, Peppers, Olive Oil, Capers (Capers, Water, Salt, Vinegar), Garlic, Salt, Oregano, Citric Acid, Basil. Smoky crisp pancetta and garden fresh sage are combined in a thick tomato sauce. The forest earthiness of porcini mushrooms paired with the sunny freshness of orange.